What does sustainability mean? Should it be considered from a global perspective, integrated into our community systems and inculcated in our personal lives? How does one find the balance between a debate for the environment and one for social equality as well our personal happiness? More importantly, how does one go beyond a theoretical study and implement change in personal lives? 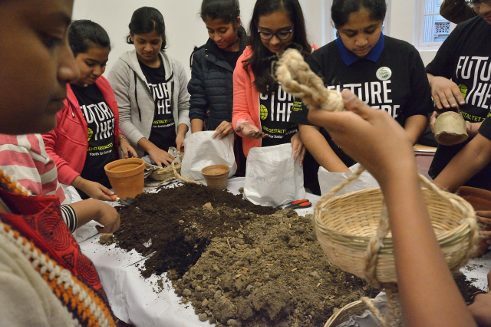 Following the inception of the first FUTURE (T) HERE international youth conference on the environment and sustainability in Mumbai in 2016, the second conference was held at the new premises of the Goethe-Institut / Max Mueller Bhavan Kolkata on Park Street between 19th and 21st January, 2018. 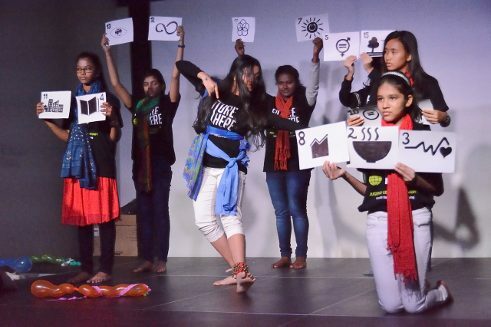 An estimated 100 students from around 20 government and private schools in East and Northeast India were invited to take part in the three daylong conference which held nine simultaneous workshops where students exchanged ideas for a better future and had the opportunity to better understand several aspects of sustainability. 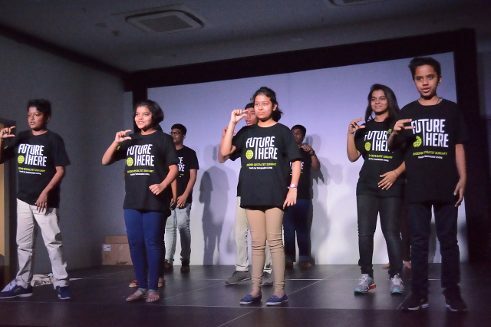 “It is wonderful to see how such a huge movement emerged from a very small idea”, says Beata Weber, Head of the Language Department at Goethe-Institut / Max Mueller Bhavan Mumbai and the force behind FUTURE (T) HERE. 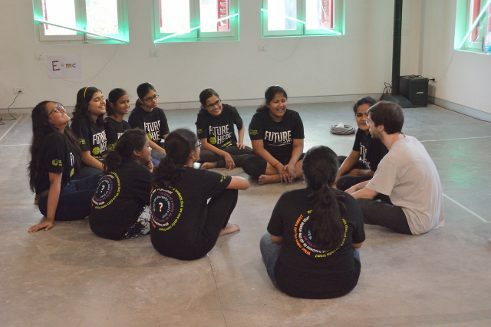 Twelve experts from India and Germany came together to conceptualise workshops that were based not just on a global and intercultural perspective but also on several formats such as dance and performances, video making, cooking and market visits and cultural and sustainable tours around the city. These workshops allowed participants to gain experience which would help them not only to be more aware but also inspire others. 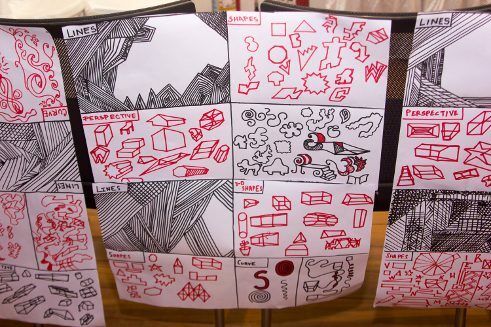 On the final day, each of the nine workshops prepared presentations that were showcased to guests and parents during the Open House. 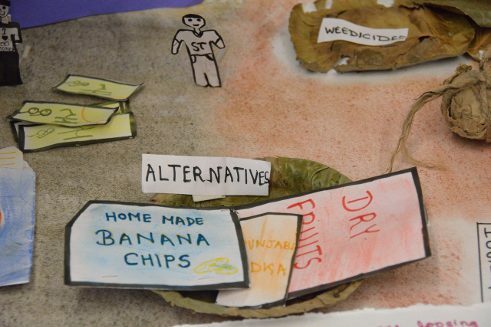 Three of the nine workshops focused on where our clothes, our food and other materials of daily use originate from, and in what working conditions they are produced and what the entire process is from production to consumption. This also allowed participants to become aware about the entire process, and that it is often difficult to define the processes and the chain of production. 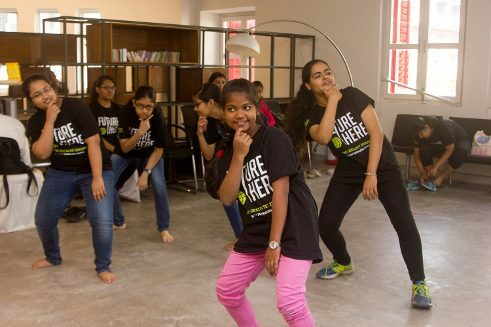 The message of the performance, video—art and experimental cooking workshops focused on how important awareness and information is, so that a change can be effected and every consumer and citizen may be allowed the chance of a better future. Three other workshops addressed art, culture and personal identities. Why does one hardly see butterflies in the city? What are the stories that buildings can recount to us, and how can we conserve and preserve these stories for future generations? And how is personal happiness linked to the aspect of sustainable living. 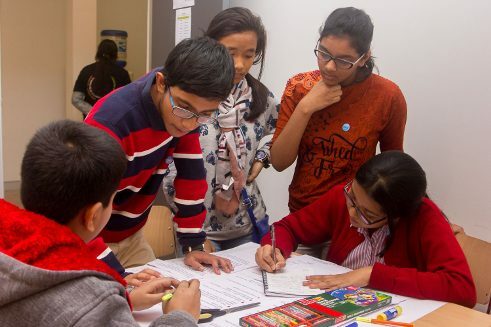 The participants answered these questions based on experiences that the participants gathered during excursions through creative formats such as wall presentations, films, animation or performances. 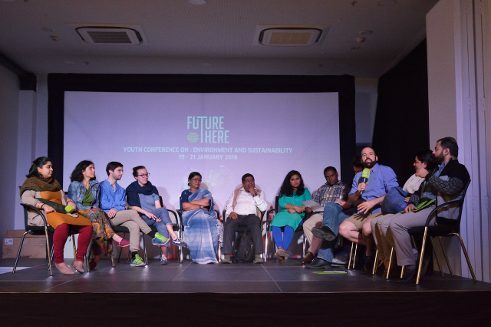 Inspired by the “Success Stories” of the cooperation partner for the first youth conference in Mumbai -, FUTURE (T) HERE also became a success story in itself-demonstrated by the many request of the young conference participants to expand the concept of sustainability as well as the support of local partners and international organisations such as UNESCO and UNICEF in India. Further such conferences have also been planned, as have been conceptualisations and implementations of several school projects. Such conferences are also a wonderful opportunity for participants to improve their knowledge of both the German language as well as the culture in Germany. In this regard, ten participants from Mumbai and Kolkata will also have the opportunity to travel to Düsseldorf, where the next youth conference will take place in June, 2018. This conference will be an international one, and participants will have the opportunity to gain an in-depth knowledge on this topic as well as exchange ideas with their german counterparts on building a sustainable society. 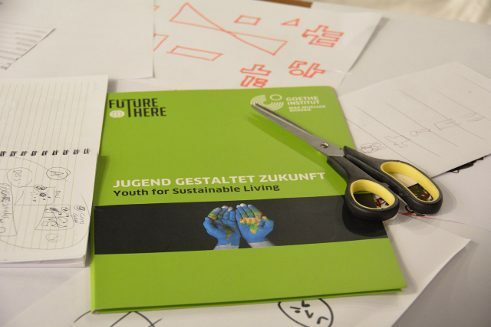 This youth conference will be organized by the initiation partner Düsseldorfer Schauspielhaus These conference will hence, also be an opportunity for all to work together; since the future of the planet depends on all of us. “The workshop content is extremely new for us. 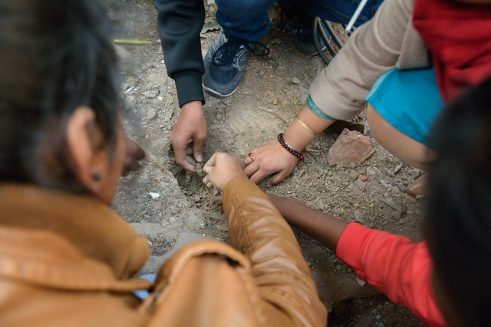 We have never explored the streets and spoken to the street vendors about food and where they get it from. 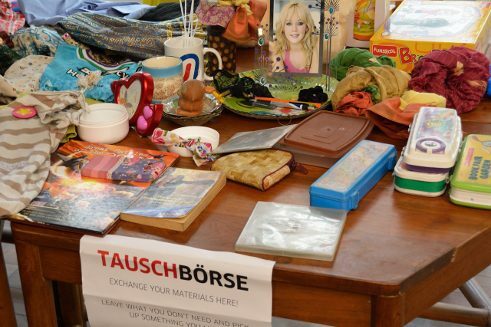 But the most important thing is that we are connecting these everyday activities to sustainability. We have never thought about this topic in this way"